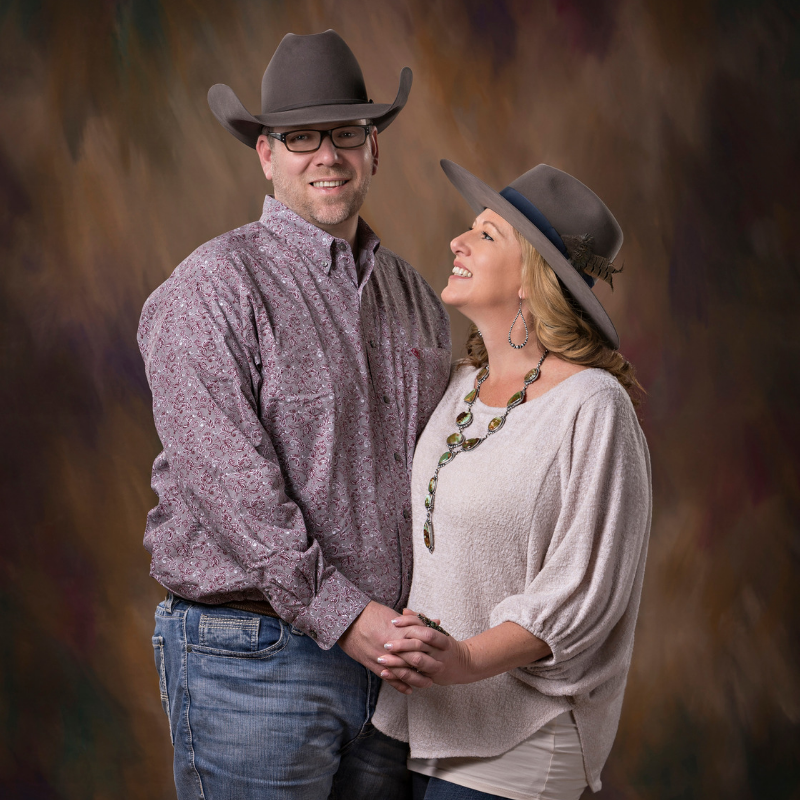 Charles and Heidi Anderson are the owners of Legacy Livestock Imaging, a photography company located in Topeka, KS that specializes in livestock, rural and western lifestyle photography. Much of their time is spent on the road photographing many of the nations top livestock expositions, ranches and for leading agriculture companies. Heidi has been recognized as the nations top livestock photographer for the last 6 years and a top 10 photographer in the state of Kansas for the last 14 years. Her work has been featured in national ad campaigns, on magazine covers and even displayed in the Smithsonian. When not on the road they are busy with their five children, two cats and a dog. Their company motto is "Telling Your Ag Story" as they believe everyone has a story to tell if you take the time to listen. They are excited to be able to help people add a great hat to their story as GHW ambassadors.